The big news this morning is that the federal government, led by Attorney General Jeff Sessions is set to rescind the so-called Cole memo, or memos as the case may be. For those who don’t know, the New York Times describes it as “an Obama-era policy of discouraging federal prosecutors from bringing charges of marijuana-related crimes in states that had legalized sales of the drug.” In practice this allowed Colorado and Washington first, followed by Oregon, Alaska, Nevada, and now California to establish recreational marijuana markets and not worry too heavily about federal prosecutors cracking down on these operations which were legal at the state level, but never legal at the federal level. Finally, the one risk that looms large over the entire forecast is the federal government. While there has been no clear warning or action taken, there is a non-zero chance the federal government could step in and eliminate, or severely restrict recreational marijuana sales. In this event, taxes collected would be considerably less than forecasted. Well, now there does appear to some action taken. Ultimately it will likely come down to enforcement, and the choices prosecutors make. We will be meeting with our advisory group again this month, and will discuss the implications of these changes, along with other issues and trends in the recreational marijuana market. More on this after our meeting and as we get closer to the Feb 16th forecast. 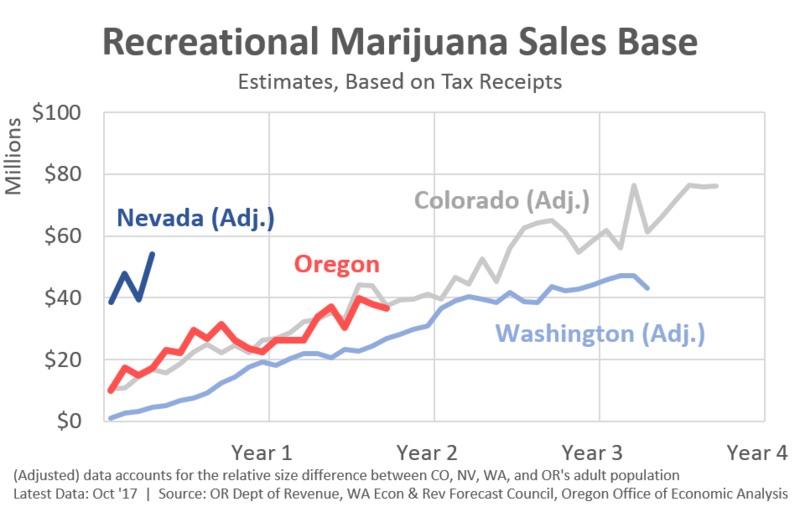 All of this brings us to this edition of the Graph of the Week, which shows monthly recreational marijuana sales for Colorado, Washington, Oregon and Nevada. These sales figures are estimates based on reported tax collections, and do not include medical marijuana sales. In total across the four states, they are seeing around $250 million in recreational marijuana sales per month. Additionally, all states continue to see growth in this newly legalized world. However the exact level of sales is also determined by the size of the population, usage rates, and tax policy, among other factors. In fact, in my preferred chart in comparing sales trends, Oregon’s first year and a half of sales are nearly identical to Colorado’s first year and a half of sales, after you control for population size. 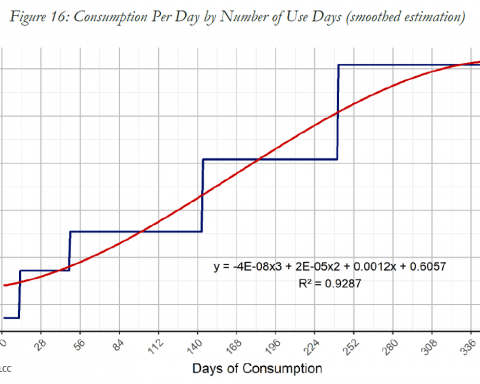 Let’s call this the Bonus Graph of the Week. Also note that Nevada is seeing strong sales in their first few months. 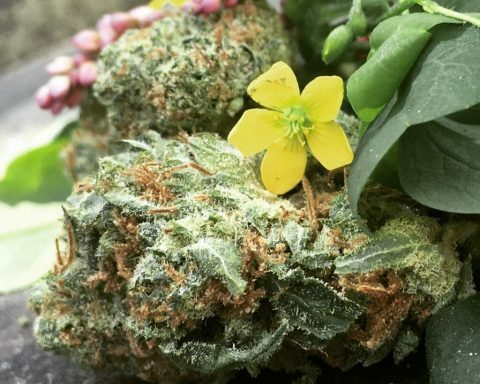 Nevada is currently selling about the same amount of recreational marijuana as Oregon is today, however with a much smaller population. Their initial adjusted sales data is the highest we’ve seen among the legalized states. Nevada and Las Vegas in particular are also a tourism hub, and thus are seeing larger sales than the resident population alone would suggest. 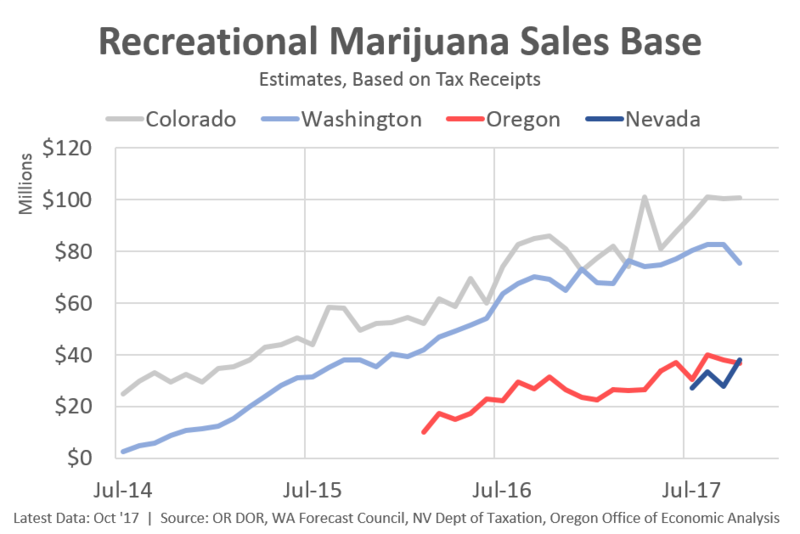 I don’t have a huge reason to believe cannabis tourism is a big factor in Oregon’s sales, but I think it clearly is in Nevada. As we write in our forecasts, there are a lot of risks to the recreational marijuana outlook. In particular, usage rates, prices, harvest levels, regulations and the like both have upside and downside implications for the forecast. However, none of those loom as large as changes in federal policy. Today’s actions may end up mattering substantially, or not so much, but we don’t know the answer yet. Our office will continue to work with our advisors, and to adjust the tax revenue outlook accordingly.